Label Power has been creating incredibly high-quality labels for over 18 years. 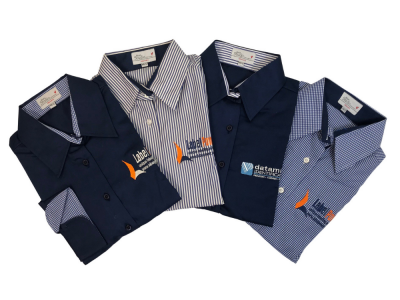 They are Australia’s premier printing supplier and label manufacturer. 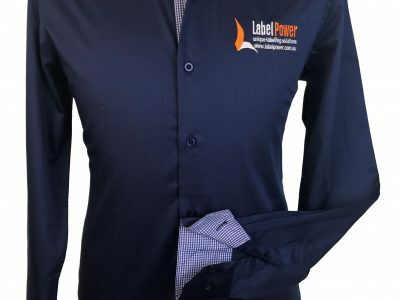 Label power assists thousands of individuals and businesses, providing great products in creative and convenient ways. The brand is efficient and imaginative, with a track record of success. 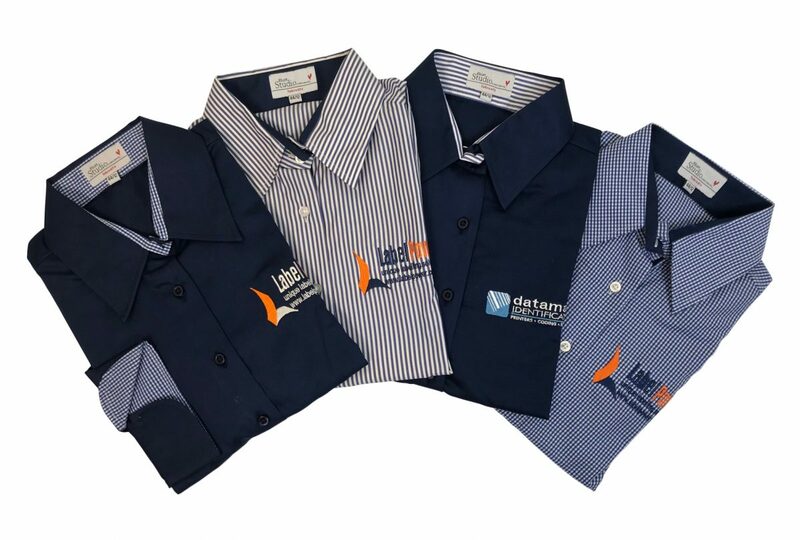 They needed a uniform to match and The Uniform Edit created the perfect shirt to complement this powerful business. 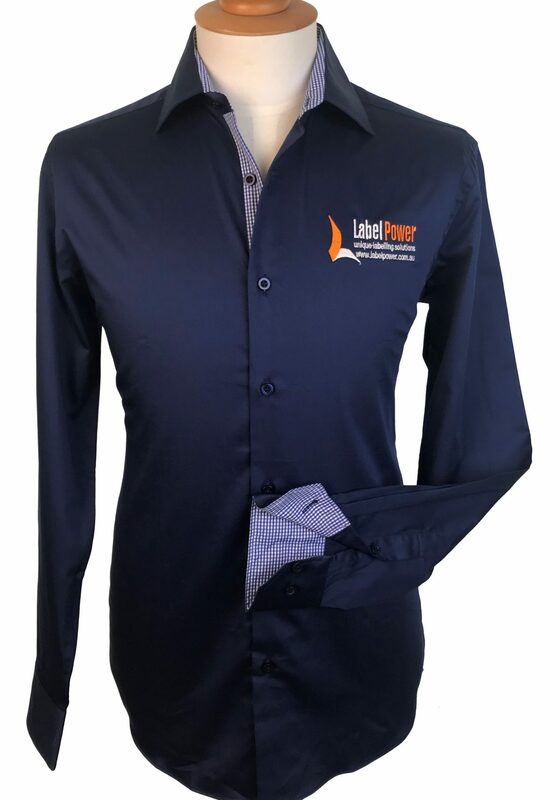 Label Power specialises in attention grabbing aesthetics, full colour and quality finish – and they wanted a uniform which also reflected these visuals. 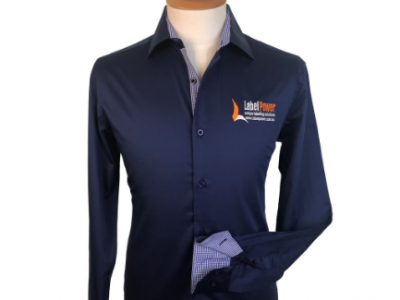 Label Power wanted a uniform for their head-office employees which would unite them as a team and create a unified image for the brand. 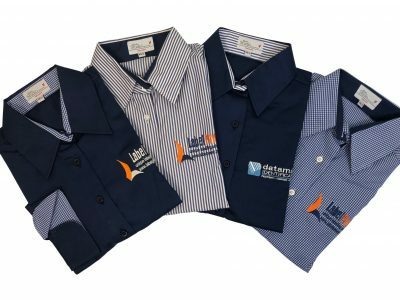 They wanted to give their staff some personal choice within the uniform, so a range of shirts to suit every taste was required. Colour was to be central to the design, with the uniform featuring the brand’s colour palette of white, blue and orange. The team needed a uniform which reflected their experience and trustworthiness and yet made them approachable as well. The Uniform Edit designed a series of shirts, for both men and women, which fitted Label Power’s brief. 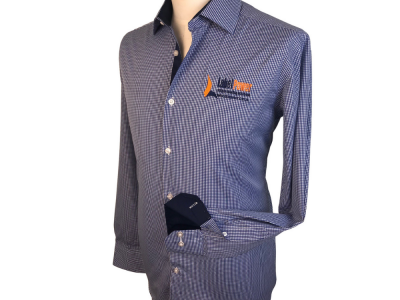 The first of these designs is a navy sateen weave with a fine check placket. 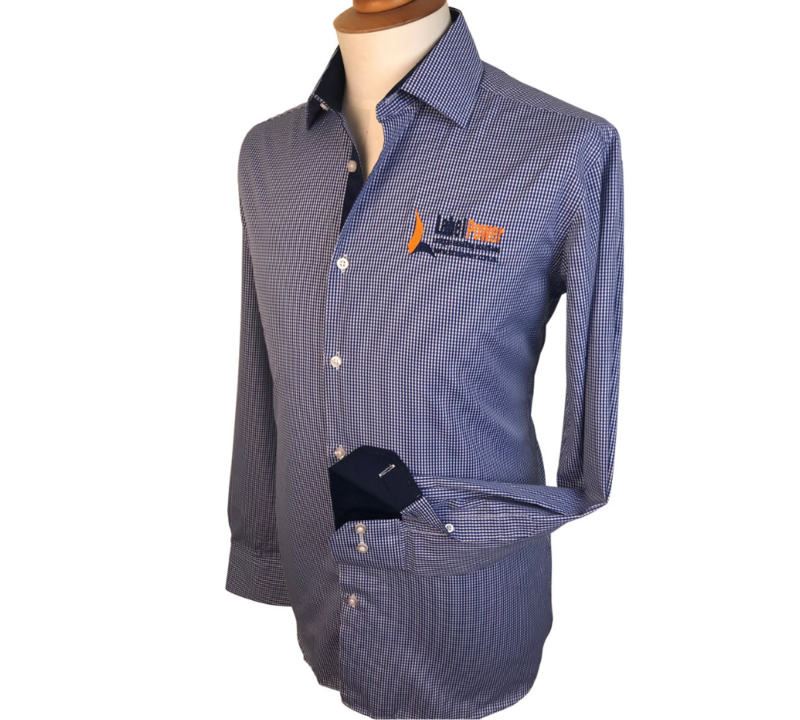 The second has a thin blue stripe with the placket. 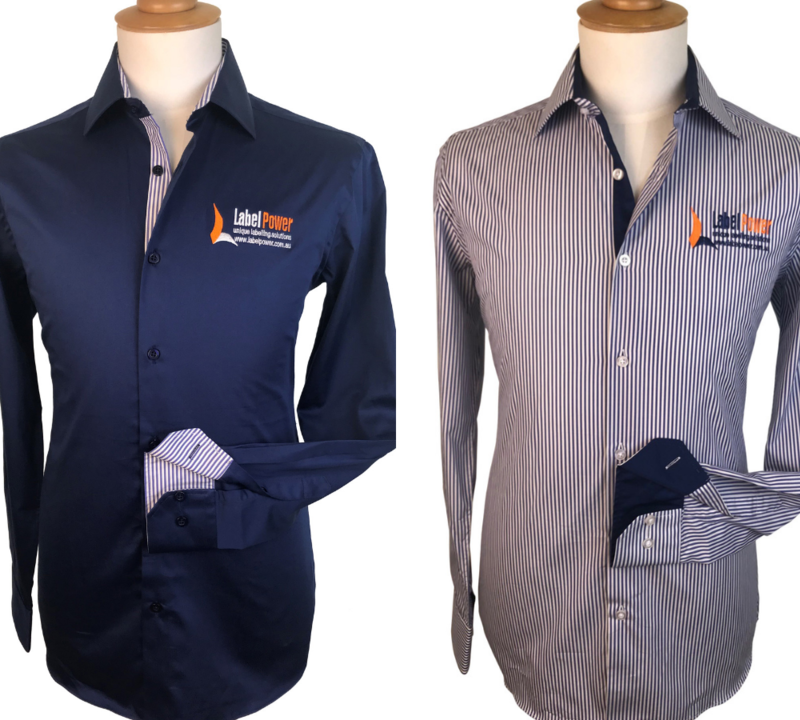 We also created a women’s version of both of these shirts, with a three-quarter sleeve for a more feminine look. All shirts have contrasting logos embroidered on the chest. 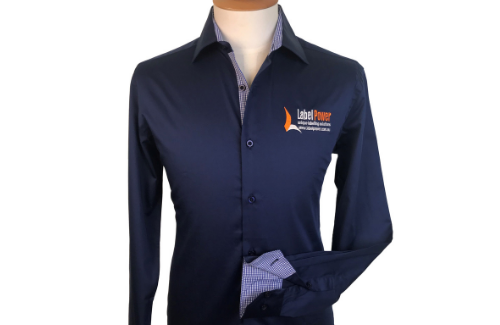 We particularly love how striking the orange logo looks against the navy shirt! 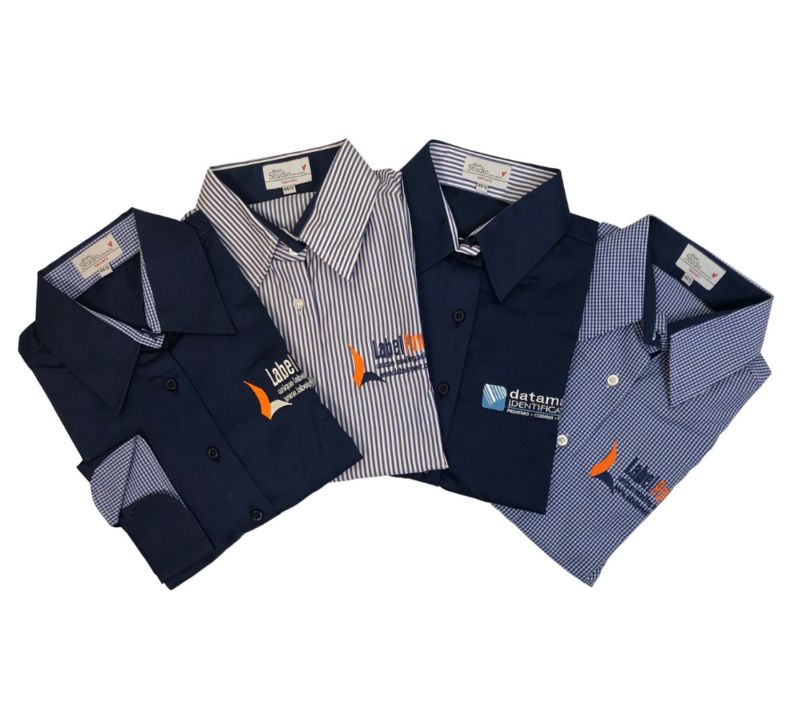 This key item uniform is adaptable to different employees and different corporate outfits. 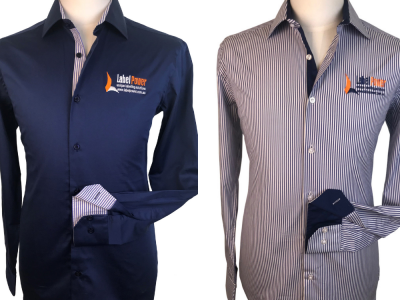 Allowing staff members to choose which shirt they prefer gives some team ownership of the uniform and increases its success as a unifying aspect of branding. Label Power is a fast-paced, client focussed environment. The Uniform Edit enjoyed the opportunity to create a uniform which reflects the colourful personality of this brand and yet retains corporate style.